We’re delighted to announce the winners of our 9th annual Top 10 Blogs for Writers Competition! It’s exciting to see such an array of excellent blogs for writers. Make sure you visit all the ten blogs to get to know the new top crop of writing blogs. Contest criteria: In order to be considered, a blog needed to be a writing blog. 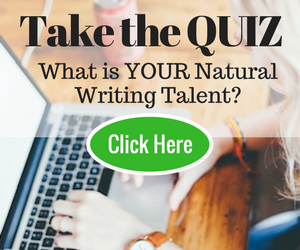 In order to qualify, at least 50% of posts needed to be about writing and not about freelancing, business, publishing, promotion etc. Blog-based analysis: Reader involvement: Average comment numbers per post account for 15% of the total score. Number of nominations account for 15% of the total score. Average number of shares on social media per post account for 15%. These three blog-based factors make up 45% of the final score. Quality of posts: Educational, useful, engaging and discussion-creating posts were rated higher than self-promoting posts. The quality of posts accounts for 55% of the final score. The blogger behind this blog is Jeff Goins. He has created a vibrant place for writers to gather. Bryan Hutchinson has created a dynamic blog with a positive vibe and has built a substantial readership in a relatively short time. Children’s fiction author Tara Lazar has turned her blog into a lively resource for picture book writers. Katie Weiland’s blog is a great place for fiction writers. If you want to know how to write your novel, this is where you can find in-depth advice. Created by Joe Bunting, the Write Practice is the place to go if you want to kick-start your writing practice. This blog by C S Lakin is a haven for writers of fiction. If you’re looking for advice about plotting, or how to overcome tricky grammar problems, Susanne Lakin’s blog is the place to search. Novelist Chuck Wendig’s blog is an excellent example of how to create an author platform. He’s created a lively blog with many useful tips for fiction writers. The tagline of this blog is: … helping writers create, connect and earn. This interesting site is run by Alexis Grant. This is a zesty blog with great information. Jennifer’s blog is focused on helping writers create novels. Experienced writing coach, author and publisher Darcy Pattison has created an appealing author platform with a blog for fiction writers. 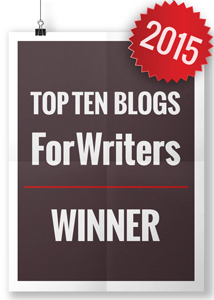 There you have it: the ten top blogs for writers in 2015. I’m really excited about this line-up of writing blogs, aren’t you? The badge of distinction: If you’re a winner, please display the badge you see below on your site and link the badge back to this post. And please help spread the word. Click on the social media buttons to share this post with friends and fans. We’ll be inviting the winners to guest post on WTD so that all our readers can get to know and enjoy these excellent bloggers. Please add *your* congratulations in the comments. thanks a lot for sharing such great information. I never knew that there are excellent blogs for fiction writers. The list is very much helpful not only for newbie like me.. Congratulations to the list of winners. Congrats to all winners. Thanks for the list.. This is a terrific list of valuable and inspiring websites. Just what I needed. Thanks for compiling it. Nice list of amazing sites for writers. I can wait to check them all out and see what valuable information I can glean. And thanks to the editors here for for coming up with such an amazing list! Thanks for the list – will blog more! Thank s for the list, I’m able to use a few of these sites. Congrats to the winners also. congrats and my best wished to all winners. I love Tara Lazar’s! I will check out all the rest! Great contest! Really deserved wins! Will try to read them all! Thank you so much to Mary, the Write to Done community and those who nominated my blog. It is an honor to be on this list for the 2nd year in a row. I wish everyone wonderful writing days ahead in 2015! Learning to be a writer is a lonely process. These great blogs help build a community that enables us writers to branch out and test the waters. Thank you for offering this contest! Happy 2015 to everyone! Thank you for this article and the selection you made! It gives me a precious starting point in reading valuable blogs! A Happy New Year to everyone here! Thank you so much for choosing The Write Life! We’re honored to be included with so many incredible writing blogs. Thanks for sharing so much great advice and so many resources at WTD — we love your site! Congratulations to all the winners, and all the best in 2015! Oh wow! What an honor, thank you! And congratulations to all of the winners. Oh, wow. Thank you so much, Mary! I am truly honored to be included once again. I have discovered so many great blogs and so many awesome bloggers through your site. Thanks for all you do! Thank you SO much for including me! I’ve been following WTD since my novel-writing journey began back in 2008. It is such an incredible honor to be included among some of the most highly respected writing blogs on the web. Wow, I am thrilled that readers chose Live Write Thrive three years running. It’s a huge honor and inspires me to make 2015 another great year of helping writers. Thank you, all, for your support and appreciation! What an honor! Thank you so much, Mary, for hosting this contest another year, and huge thanks to our amazing readers! 2015 is going to be a great year for writing! Congrats, everybody! 🙂 Well deserved wins. and i too like Sue i do follow some but will add the rest … happy new year of course all year! Good to know I’ve chosen the best to follow. . .congrats to all! The blogs I know on here are MORE than worthy and I can’t wait to check out the ones I do not know. Thanks Mary for providing this for us! Congratulations to the winners! I follow most of you but will add the ones I don’t. All great sites. Excellent advice. Terrific leadership. Good writing. Wishing all scribes a successful 2015! Your introduction to the list got me thinking … these blogs are “about writing and not about freelancing, business, publishing, self-promotion, etc.”. As I make plans for my new writing blog, it’s a distinction that I will keep in mind: writing versus all of the things that writers must learn and put into practice if they want to make a living with their writing. An old friend of mine was rather surprised that I was “writing about writing”, like that could be a thing. I should send him to this post; it demonstrates how vast the field can actually be. It’s wonderful to see such great line-up of previous winners as well as excellent new blogs.